I saw a newspaper article about Powerchair Hockey when I was 10 years old and just found out about my diagnosis. A year later I attended a course for families with kids with a muscular disease. There was a person who was presenting Powerchair Hockey. I tried and fell in love with the sport. I think Powerchair Hockey is the most enjoyable to watch of all para-teamsports. It combines skill and tactics, speed and clean but hard playing in the most fun way. It also doesn’t matter what gender you are or even how old you are! Regardless of your physical strength you have important role in your team and on the playing field. It’s a one of a kind sport and it should be way more popular than it is at the moment! I don’t know what’s the right solution for this problem, but I really dislike the development of the game where the defensing team just sits on the front of their goal and don’t even try to play. I know it’s efficient against the better teams of course, but I don’t like it and I hate if my team plays that way. I don’t know though what would be the best solution for this problem, but I think it’s something that should be dealt with. Otherwise the game becomes boring when just one team keeps the ball, or maybe just one skillful player keeps the ball and everyone else is trying to block the still-sitting defence. For me it’s always fun to try to guess what the opposing team players are talking about in their own language. Sometimes I think I’ve succeeded in guessing what they were talking about and that’s extra fun! I have met so many people and got many friends via Powerchair Hockey, both nationally and internationally. If I have to pick a favorite player that isn’t Finnish, I’ll say my favorite player is team Italy’s Mattia Muratore. He is very skillful, a great leader and a perfect gentleman on the playing field. It’s always fun and hard to play against him! 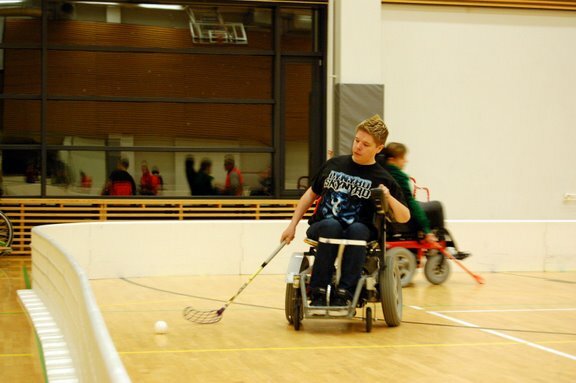 A fun fact: I actually used to play with a handstick and in EC2005 in Rome I scored my first and only goal on the international level. My favorite Powerchair Hockey moment is the first World Championship bronze we won in 2010. The whole bronze game, we were losing by several goals but tied the game with a minute or so remaining and then scored the winning goal only 30 seconds before the ending! Of course other bronzes (EC2012 and WC2014) felt really good, but the 2010 bronze has a special space in my memories. 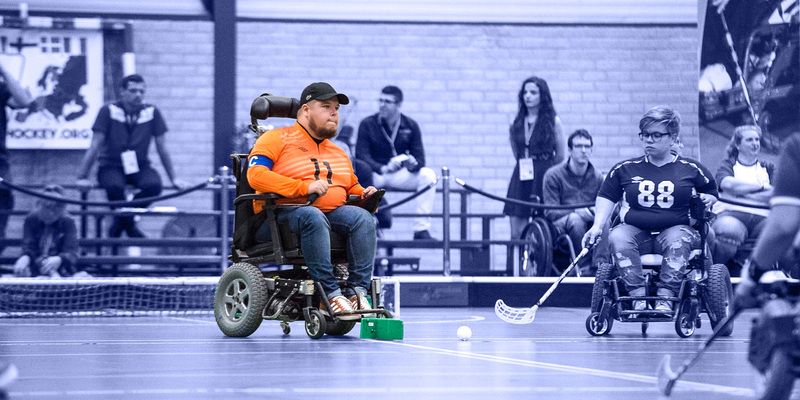 My biggest goal in Powerchair Hockey? I’ve played for so long that I can’t set my goals any lower than winning the World Championship someday with my national team! And I believe that it is possible one day. No Replies to "INTERVIEW | ATSO AHONEN"